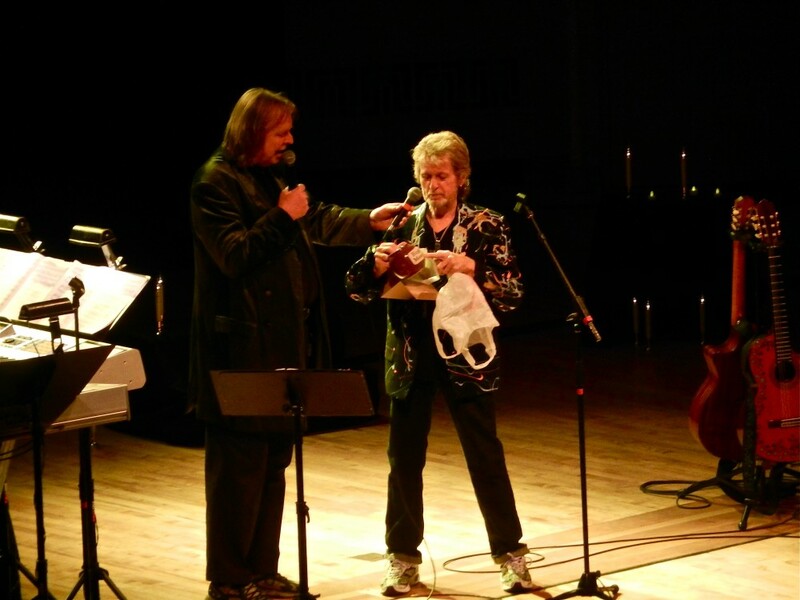 Jon Anderson and Rick Wakeman of Yes fame performed Wednesday evening at the legendary Kleinhans Music Hall. Despite a less than capacity crowd, the performance was top notch. The stage was quite bare albeit some lit candles neatly surrounding the keyboards and guitar stands. In 2008, Jon Anderson was diagnosed with acute respiratory failure and doctors advised him not to work for at least six months in order to avoid suffering further health complications. This caused Yes to search for a new singer while Jon recovered. As a result Jon has not been back with the band since. Jon and Rick decided to work together and “The Living Tree” released late in 2010 is the result. “Starship Trooper” kicked off the first set and helped set the tone for the rest of the evening. Jon and Rick told stories how some of the songs came to be. The onstage banter between the two made the evening quite memorable. Between Jon’s honesty and Rick’s comedic interplay, it made for quite an entertaining show. Rick even brought Jon a birthday present and played Happy B’day for him on the keyboard to celebrate Jon’s 67th birthday which was the day before. After a brief intermission they started the second set off with “South Side Of The Sky”, one of the night’s true highlights. The show gelled quite well as the infusion of the newer material fit right in place alongside old Yes standards such as “Long Distance Runaround” and “And You & I”. As they came back out for a 3-song encore, one thing most in the audience would agree with is how special of a show it was in an immaculate acoustical setting. Special Thanks to Billy James at Glass Onyon PR for his help in letting us review this event!